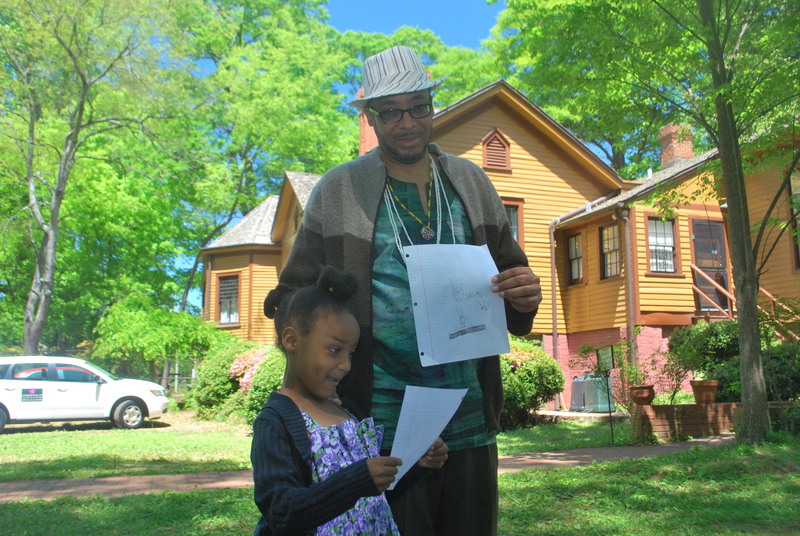 5 Tips For Raising Black Children Who LOVE to Read! 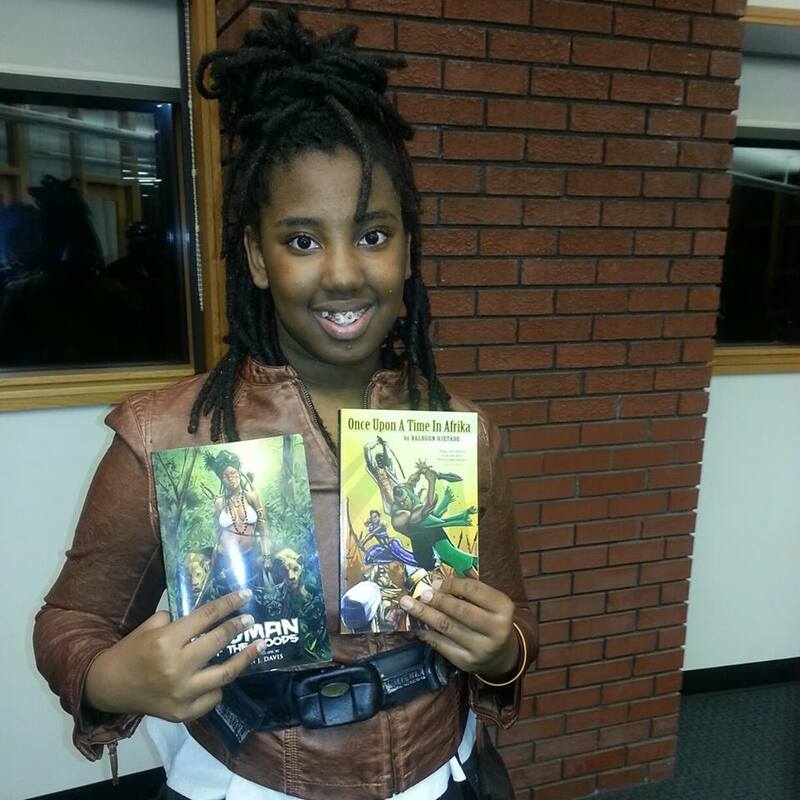 A couple of years ago, I got the notion to develop a program that would inspire Black youth to read Science Fiction and Fantasy and teach them to write it well. I knew Black children would only respond positively to such a symposium if they saw themselves as the heroes and sheroes. I also knew I had the perfect team of authors and artists to give them such images. I presented the idea to the State of Black Science Fiction – a collective of authors, artists and filmmakers who create speculative works for and about Black people – and the Black Science Fiction and Fantasy Youth Symposium was born. 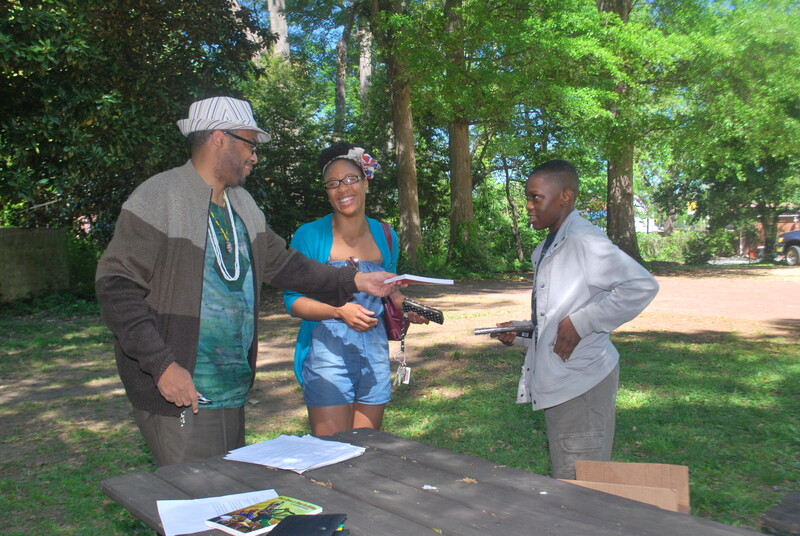 April 26, 2014 marked the day of the 2nd Black Science Fiction and Fantasy Youth Symposium, which we did in partnership with the Wren’s Nest. After a Blacktastic day of African drill performances; readings of our current works by Yours Truly and Milton Davis; a workshop on the writing process and the need for Black Speculative Fiction; students (and even parents) creating and sharing short stories and comic book art based on Milton Davis’ novel, Amber and the Hidden City; masterful instruction in storytelling from authors Balogun Ojetade and Milton Davis, comic book creator, James Mason and artist, Wayman Humphrey; and even lively conversation about the state of Black speculative works with parents long after the symposium had ended, I am even more inspired to create great works of Black Speculative Fiction and my head continues to swim with ideas. I would like to share with you, dear reader, a few things the symposium taught me that might be of use to you and your children, or any young ones near and dear to you, particularly if your child is a reluctant reader. Using your child’s interests, strengths, and talents, you can connect him to reading he enjoys, as he simultaneously builds his reading skills. If he is interested in comic books – I learned to read at 2 years of age by reading comic books – the Urban Shogun series, by James Mason, are exciting reads and feature a culturally and racially diverse cast of heroes. 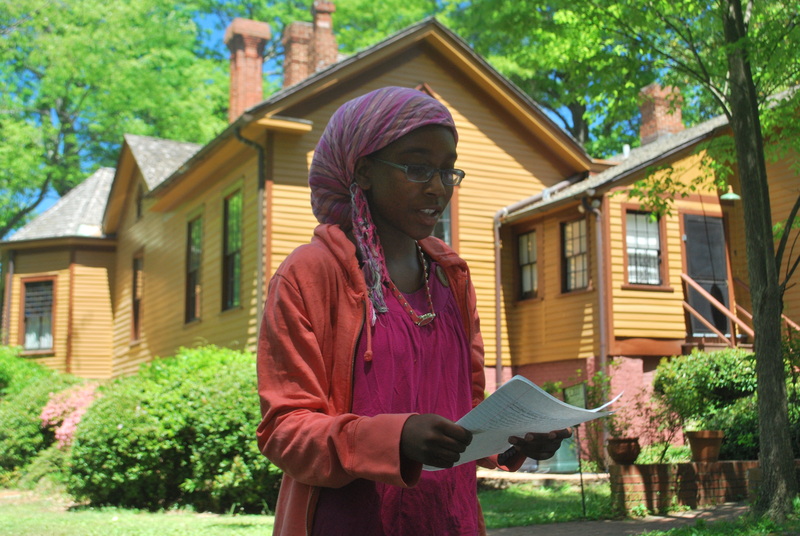 If African history is her thing, Once Upon A Time In Africa, or Amber and the Hidden City will keep your child turning the pages and building those reading skills. Your child’s increased reading skill will result in more satisfying reading experiences. As this positive experience continues, he or she will even improve his reading comprehension and memory of what he is required to read for school. A word of caution: As you see your child’s love of reading increase, you will have the urge to push him or her toward improving their reading abilities. Don’t do it! The improvement you want to see will happen, but only after the love of reading is there first. If your child feels like reading is a chore, they won’t fall in love with it. Another word of caution: Parent’s love to take credit for the successes of their children. However, this often robs the child of the chance to take ownership of his or her accomplishments. Allow your children to take pride in how their reading habits made the difference in their reading capabilities. Incorporate family reading nights and maybe even throw a reading party in which your children and their friends have cake and ice cream and play games. The day ends with them receiving awards for their reading and even receive cool books as gifts. Use such fun activities as tools that influence your child’s positive connections to reading. Children are attracted to books, magazines, and other print material that feature their interests, such as super heroes, dinosaurs, science fiction, the ocean, space exploration, insects, people from other lands and times and their favorite computer games. As your child reads more books in his or her areas of high interest, he or she will experience an increased depth of specialized knowledge in that sphere of interest. This will help him or her stand out among his or her peers and gain the respect of teachers, which will result in a significant increase in his or her self-concept and confidence in taking on other challenges. A word of caution: Low pressure is the key. 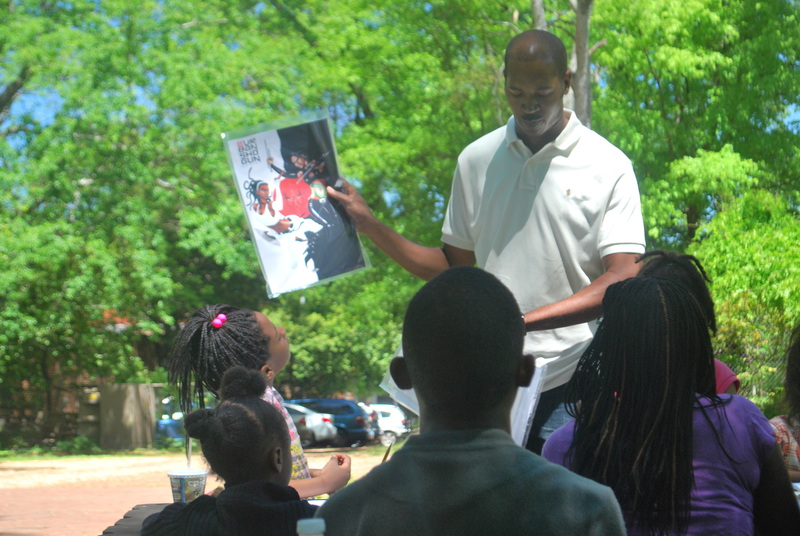 Provide casual opportunities for your children to come in contact with reading material about their interests. Keep a variety and rotation of books and magazines around the house related to their interests and observe which books they pick up. If you read a book and you know it is of high interest to your child, let her hear you laugh or make comments aloud, “to yourself” as you read. Saying, “Wow, I never knew that,” can start a conversation in which your child asks what you are reading. If she doesn’t inquire, leave the book open when you leave the room to cook, mow the lawn, or anything that will take a while. That is when she is likely to follow her curiosity to pick it up and see for herself what was so interesting to you. Visit libraries, used and new bookstores, or web sites with your child to discover his interests and promote new ones. What captures his attention as he browses the library or bookstore shelves? If he enjoyed books about certain topics or by specific authors in the past, ask the librarian for additional suggestions. If your child has a favorite book or author, look for more books by that author on Amazon, or see if they have a website where you can purchase more of that author’s work. Another word of caution: If your child wants to read to you, regardless of their age, let them. Most tweens and teens won’t say “Mommy, can I read to you?” They will say something like “Mom, this passage in the book was funny, check it out.” Teens still desire your approval and an encouraging word from you, even though they act as if they couldn’t care less. Also, let your children’s reading errors go unchecked while they read to you. This may be difficult for you, but the reward will be a child who likes to read. If you are still bothered by a few errors they made in their oral reading, work on it with them a little later, while you and your child are doing something else, or during homework or study time. Then, you can slip in a reading tip and give cues to guide her in the concept she missed. Be sure to correct the type of error, instead of drawing attention to the specific error. Do not force your child to finish every book he starts or quiz him on the contents of his recreational reading. Similarly, do not make a big deal about his choice to sit and read a book for pleasure and if he soon rejects the book as not one he wants to stay with. You want to avoid making him feel reluctant to pick up books in the future when he is not positive he will like them. You don’t finish all books you start that don’t meet your needs, do you? Nope. And neither should your child. It helps if you encourage him to select several books about a topic, so if he finds one wack, there are alternatives. When he speaks positively about a book, ask him if he’d like to read a favorite paragraph or chapter to you because you are interested in the book. You are a role model for your children. When they see you reading books, not just for specific reasons but also for enjoyment, they will follow suit. If you have reading challenges, it is important for them to see you being challenged when reading, but overcoming those challenges. This increases their comfort about difficulties they have reading complex books. Talk about your own reading challenges with your child. If the computer software book you are reading is dense with facts and you need to take frequent breaks or stop and take notes, let your child know how you are feeling and what you are doing. Say, “This is hard reading; that’s why I keep getting up and moving to another chair or adjusting the lights. I need to give my brain a break, so I can get through the book and learn what I need to know.” Sometimes, I read a book for my research, or a work of fiction that is not interesting. I have to read the same sentence two or three times, and I even have to write things down so I can understand and remember what I read. My children, and even my wife, see this and they now do the same instead of saying “This book is so boring,” and then tossing it under the bed. If you had trouble developing an interest in reading or had a harder time than your classmates when learning to read, that is also good information to share with your child. Younger children may see you reading books with tiny print and with many pages (and no pictures) and think you were just “a born reader” or much smarter than they are. If there was a special interest that connected you with certain books, such as books you didn’t like at first but grew to enjoy, share those memories with your child. He wants to be like you. Knowing about your frustrations or embarrassments helps him remain optimistic when he is struggling in the same ways. For many children, the “choose your own adventure”-style books are great for encouraging youth to read and building a love for reading. In such books, the reader gets to make a choice for the character and is instructed to turn to a particular page number based on her choice and the story progresses from there. My next book – written for readers aged 11 and up – is penned in the “choose your own adventure” style. The book is entitled The Keys and is the first book in my YOU are the Hero series. Look for The Keys in October of this year. The length of some books, especially required for school literature reading, can intimidate or discourage children. Abridged – or graphic novel – versions of common books can provide a starting point that your children will feel is an achievable challenge. Another option, if your child finds the smaller print of school-assigned literature books intimidating, is to find a large-print version of the book that has fewer words per line and more frequent page turns. Many readers – and sadly, many authors – are confused about the age / grade classifications of books for youth. Many of us lump all books for young people under the category YA, without realizing that YA means Young Adult. A book appropriate for a Young Adult is usually not appropriate for a ten year old. What are the classifications and their differences, you ask? The two main classifications are Middle Grade (MG) and Young Adult (YA). Each classification can be broken down into a few sub-classifications. Middle Grade is chiefly read by late elementary / middle school students; Young Adult is chiefly read by high school students and up. MG is primarily written for young people, 8-12 years old. Within Middle Grade, you also have Upper Middle Grade, which is more appropriate for 10-14 year olds. Young Adult readers are generally 12-18 years old. The younger portion of this age group often reads books that their parents would remember as “teenage novels.” However, by the middle of the adolescent years, and sometimes earlier, most teens are reading adult novels, particularly in school. Teens get drawn into YA novels with stories that relate directly to their own deep concerns – books that help them figure out their place in the world in a sensitive way. If the protagonist is under 12 years old, it’s usually MG; over 12 years old usually means YA. MG plots tend to center on the protagonist’s internal world, whereas YA plots are more complex and are more concerned with the protagonist’s effect on his or her external world. Middle grade readers are beginning to learn who they are, what they think. YA novels have more complicated plots than MG, and the change in a protagonist is triggered by external events, fitting into a bigger picture. 1. The main character has to be a teenager, usually between 16 and 19 years old. 2. The plot must have something to do with coming of age. The underlying themes, regardless of genre or topic, allow teens to examine deeper issues in a safe way: what their role in life is, the difference one person makes, the importance of relationships, coping with tragedy of any sort, etc. The younger set of YA readers can cope with scary subjects when they are at a distance – the character’s friend is doing drugs, not the character himself. There is a subcategory of YA called New Adult, which tackles formerly taboo subjects with an intense perspective. These books are aimed at older teens and young adults (16-20 years old). Instead of a friend or acquaintance having issues, the main character is the one being abused, cutting, considering suicide, etc., or it’s a family member or best friend of the main character. The viewpoint is very close, the bond and introspection and questioning are strong. Overall, teens can identify keenly with the character’s feelings, if not the situation. One is the search for identity. Young Adult novels have protagonists who are trying to figure out who they are as an individual. They try on this and then that, not sure what really fits them. Middle grade novel protagonists are developmentally more into the concreteness of life – friends, siblings, the mean teacher, the lost dog, etc. The word count for Middle Grade fiction is around 20,000-40,000 words. However, there are exceptions (early Harry Potter, anyone?). The word count for Young Adult fiction is generally 55,000-80,000 words. Once again, however, there are notable exceptions (late Harry Potter, anyone?). For a list of great books for Black Youth, check out TOP 20 STEAMFUNK, DIESELFUNK, SWORD & SOUL AND URBAN FANTASY BOOKS FOR BLACK YOUTH! 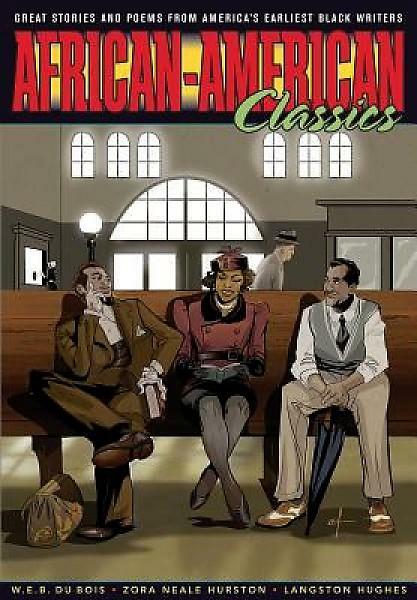 Posted by Balogun on May 4, 2014 in Adventure, Afrofuturism, Fantasy, Panel Discussion, Science Fiction, Short Story, Speculative Fiction, Writers Workshop and tagged black science fiction, black speculative fiction, youth symposium. Sounds like you really have this worked out. Looking at it, I think my parents accidentally followed many of the same steps, although they tried to force my younger brother and me to read, which is likely why Younger Brother rarely reads for pleasure. Then they tried to stamp out my enjoyment of horror and force me to read “classics” they grew up with. You’re ideas ought to be shown to all parents now. You’ve got the best ideas on child literacy I’ve seen.